Have you ever seen something really tasty on Instagram but didn’t know where to get it? Have you ever craved for something but couldn' t get it? Maybe it' s too far away from home, or too expensive. We would like to make good food accessible to everyone. With Coquere, you will be able to make something without even needing to know its name. 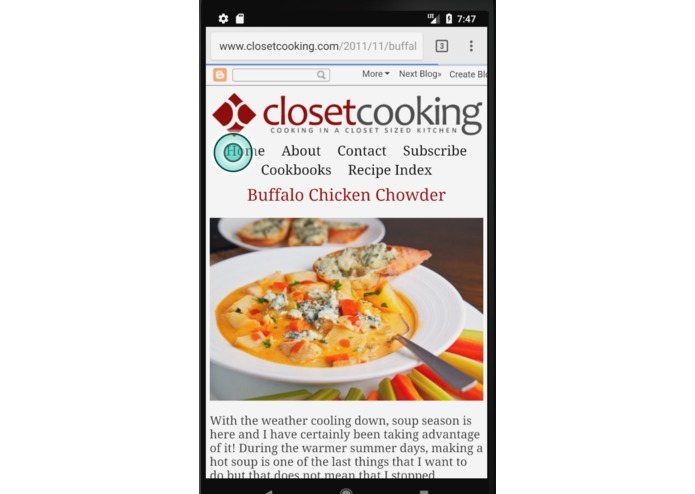 Coquere is an innovative Android application designed to provide users with the wonder behind delicious food. With a quick photo of the dish, the users will find out how to make their favorite dish at home. 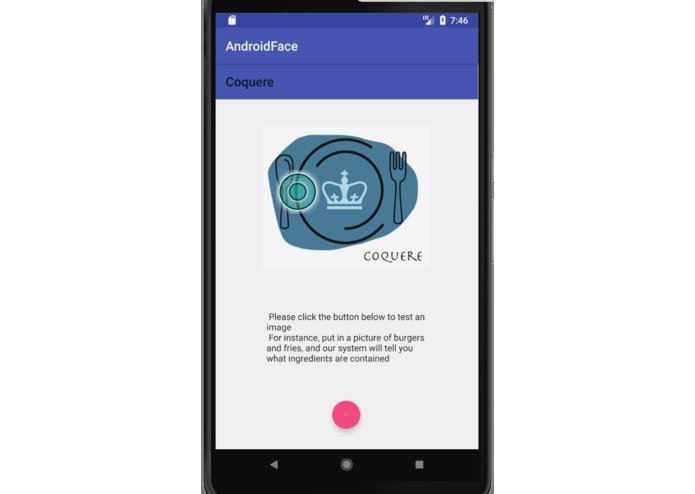 Coquere utilizes Google' s machine Learning and vision API and Food2Fork' s recipe API to power its magic. 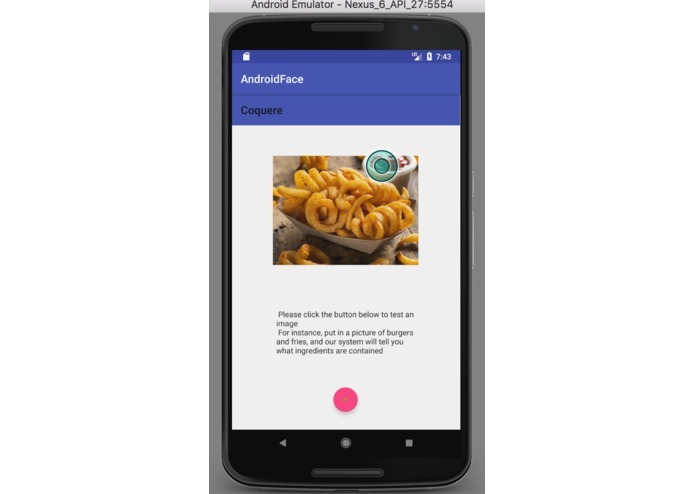 It's our first time to use Android Studio to design an app and it's also our first time to use Google API, but in this process we get a better understanding of a good design for softwares and how to analyze each procedure to satisfy clients' needs. We get to appreciate the google vision API and how we can identify every single element in the picture. It was our first hackathon and we are super proud that we get to appreciate the process and come up with a tangible project. We have in mind some features that will help us improve Coquere. Allow users to enter their allergic information to filter results accordingly. 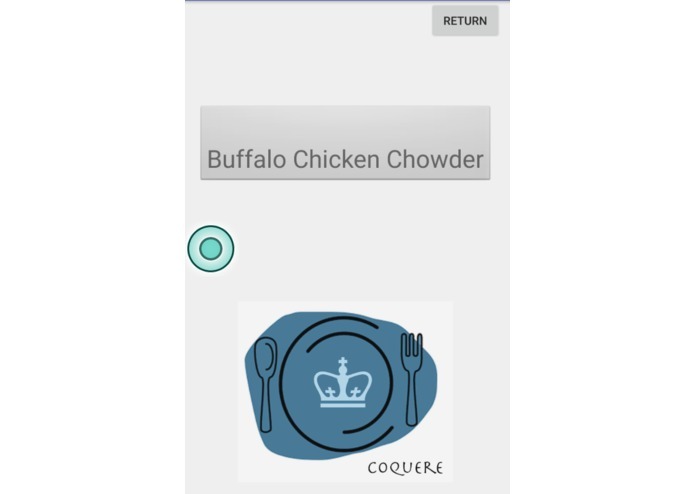 Dinner Planner: When the user inputs a photo of the interior of their fridge, our app will give suggestions of what to cook with the ingredients that the user already has.